MONDAY (Mar. 24, 2013) at 1.00 p. m.
Buried / Cremated at: ? DETECTIVES have taken more than 100 statements as part of an investigation into an officer’s suicide. 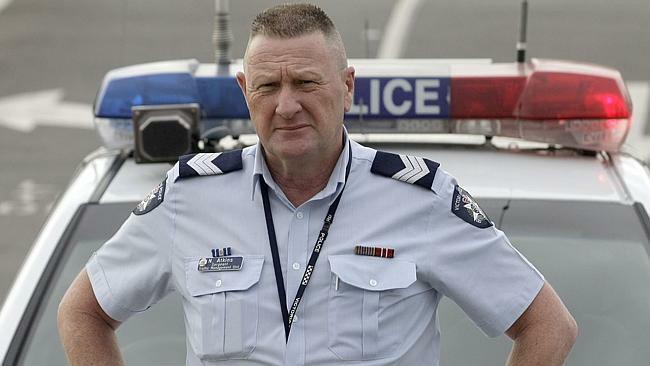 The wife of veteran traffic officer Nigel Atkins has ­alleged workplace bullying was a factor in her husband’s death. Sgt Atkins’ is one of four police suicides — three of which involve bullying allegations — which are the subject of an inquiry by the Coroner. Sylvia Atkins has been told her husband’s death is the subject of an active Victoria Police investigation being directed by a steering committee chaired by Deputy Commissioner Tim Cartwright. The Independent Broad-based Anti-corruption Commission, WorkSafe and the force’s professional standards command will oversee the probe. Investigators have taken 120 statements from colleagues and others as part of the probe into Sgt Atkins’ death on March 7 this year. Mrs Atkins said his troubles began in 2007 when he received an email from a senior officer over his booking of a motorist who was aggrieved at getting a number of vehicle ­infringements. A picture with then Chief Commissioner Mick Miller was one of Nigel Atkins’ prized possessions. The officer, who knew the man charged, questioned whether it was necessary to give him a “hamburger” (charges amounting to “the lot”). Mrs Atkins said this led to friction with the superior when he stood his ground in a reply. “Nigel took great umbrage to that. Nigel treated everyone equally,” Mrs Atkins said. She said there was further trouble the next year when he was the subject of “scurrilous” allegations of misconduct by three colleagues. Sgt Atkins was later exonerated, but he was relieved of his officer-in-charge responsibilities at the traffic unit. “How humiliating. It was against the principle of natural justice,” Mrs Atkins said. Mrs Atkins said her husband had said his preparedness to book colleagues for speeding made him a target. She said he told her of becoming the subject of nasty pranks around the station. A police pursuit which was the subject of internal scrutiny dogged Sgt Atkins in his final months. His gold class licence was removed after a review of the chase found he had failed to undertake risk ­assessments, did not communicate having driven at 160km/h in an 80km/h zone, failed to provide ongoing and adequate information during the pursuit, may have continued travelling at high speed after the pursuit was terminated and that he did not support the force’s pursuit and urgent duty driving policy. Sgt Atkins agreed in response there were things that could have been done better but that he had conducted the pursuit safely and made the “sound and definitive” decision to terminate it. 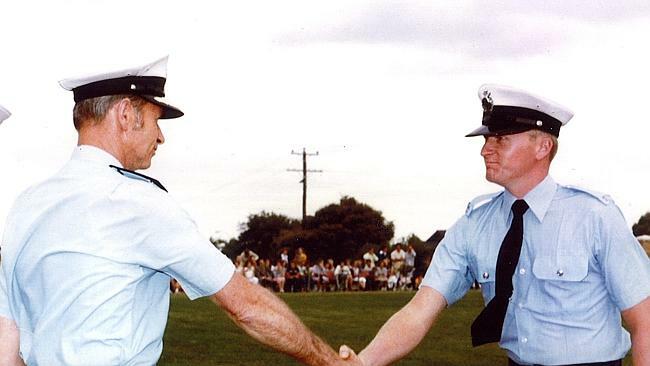 POLICING was a huge part of Sgt Nigel Atkins’ life. A treasured photograph shows him shaking the hand of respected former Chief Commissioner Mick Miller on the day of his graduation in 1978. He started off on foot patrols and worked his way through a vast range of the force’s roles. But his most recent years were spent as a road traffic cop, succeeding in reducing road trauma rates in the areas in which he was put in charge. Commendations and letters of appreciation from his superiors and community groups were among his prized possessions. 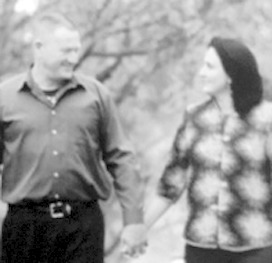 His wife Sylvia speaks with pain and pride when she tells of the things she would never forget about her husband. “I will always be proud of his leadership, loyalty and dedication to Victoria Police,” she said. “More importantly, because he did it with great strength and honour. “He was a great protector. My best friend.” Mrs Atkins said it was her husband’s aim to reach 40 years of service. Despite having his problems in recent years, he was always eager to get to work, often turning up hours early to prepare. “It was his second family. Sometimes, you’d think it was his first family,” she said. ATKINS. The Funeral Service for Nigel John Atkins will be held at the Victoria Police Academy Chapel, Viewmount Rd, Glen Waverley on MONDAY (Mar. 24, 2013) at 1.00 p. m. A Private Family Committal Service will then follow. Family and friends of Nigel are invited to join the family for refreshments in the Reflection Room at Springvale Botanical Cemetery, Princes Hwy, Springvale from 2.30 – 5.00 p. m. In lieu of flowers, a donation towards the creation of a Sacred Memorial Garden in memory of Nigel would be appreciated. Envelopes will be available at the Chapel. ATKINS Nigel John My Loving Husband I am comforted knowing that you have entered the mansions of The Lord to enjoy eternal life. I know you will patiently wait for me; watching over me, protecting me from above. When you entered my life you also entered my heart and soul. Nothing can break that. I understand, respect and always have and always will love you. ATKINS. Nigel. All staff at work areas within the Cardinia Police Service Area mourn the sudden passing of a well respected and dedicated work colleague. Deepest sympathy to Sylvia and family. ATKINS. Nigel John. Rest well, friend Deepest sympathy to family On behalf of Past and Present Members Hastings HWP UNI CIU. ATKINS. Nigel (Daisy). Sergeant 21187 Rest in Peace mate The Dog, Squad 20 of 1978. ATKINS. Nigel (Daisy). Sergeant 21187 Great memories of an esteemed colleague and respected squad mate. Squads 20/21 of 1978. ATKINS. Nigel. Deepest sympathy to the family. ATKINS. Nigel Sergeant 21187 Great memories of our early policing career together. Sincere condolences to all his family. ATKINS. Nigel John. 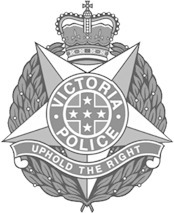 Sergeant 21187 The Chief Commissioner, Officers and Employees of Victoria Police regret the tragic death of their colleague and offer their deepest sympathy to his family.